Is Your IT Infrastructure in Good Health? Our Free Network Assessment examines the health of your IT infrastructure, diagnosis weaknesses and vulnerabilities and provides cost-effective solutions to keep your IT systems in tip-top shape. Risk Report – An overall risk score is provided with a summary of potential vulnerabilities to your IT system. Network Management Plan – Risks are ranked based on criticality, along with recommendations as to how to mitigate. Full Detail Report – We inspect your domain, provide a policy and user credential policies and highlight key items to address. Site Diagram – We generate a network structure diagram with discovered assets and uplink dependencies. Asset Detail Report – We provide a catalogue of device settings and configurations for discovered Windows workstations and servers. By taking the time to evaluate your IT infrastructure, you’ll not only gain a better understanding of your IT systems and what’s needed to adapt them to changing technologies, but you’ll also have the peace of mind of knowing your IT infrastructure has a clean bill of health. So what are you waiting for? 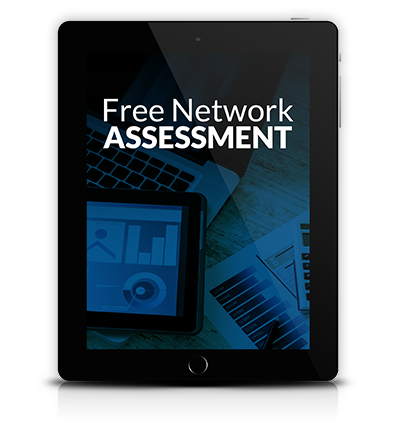 Schedule your Free Network Assessment today. Don’t wait. You may already be at risk. Contact us today for your free report.